Our goal at Direct Transport is to make shipping simple, quick, effective, and informative. We believe it should be simple to review all of your shipping options before deciding which is best for you. 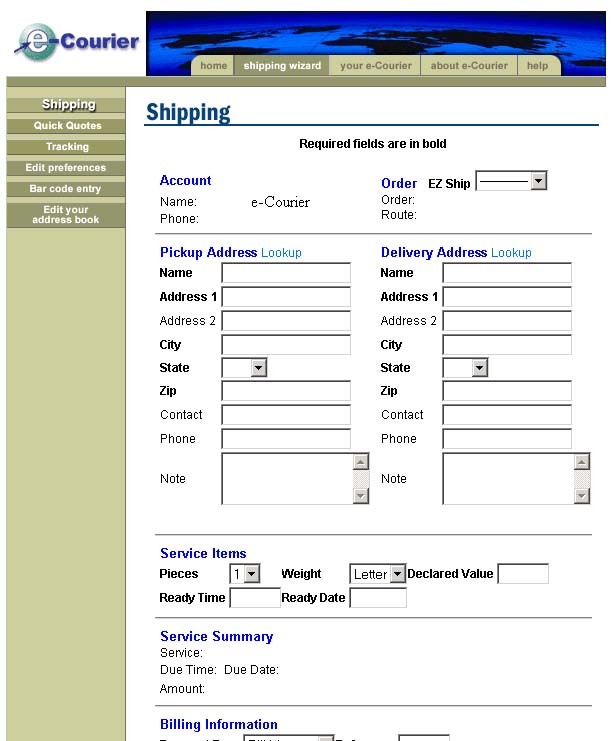 We also think you should easily be able to let your customers track, on-line, the items you are sending to them. And, if you are a high volume user of various express delivery services, we don’t think you should have to wade through a maze of carrier invoices or go to different web sites to order or track your shipments. At Direct Transport, we make shipping simpler. By giving you access to your options on a single page, you can make the best choice to meet your time and pricing requirements each and every time. 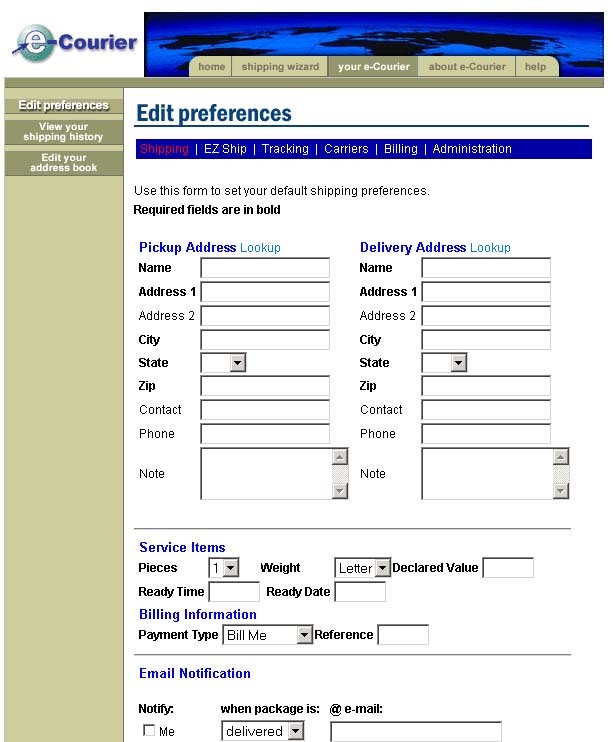 We’ll give you a single page for tracking your inbound and outbound shipments, regardless of when or where it was sent. And we will give you the ability to provide your customer a single link for tracking their inbound parcels, regardless of carrier. 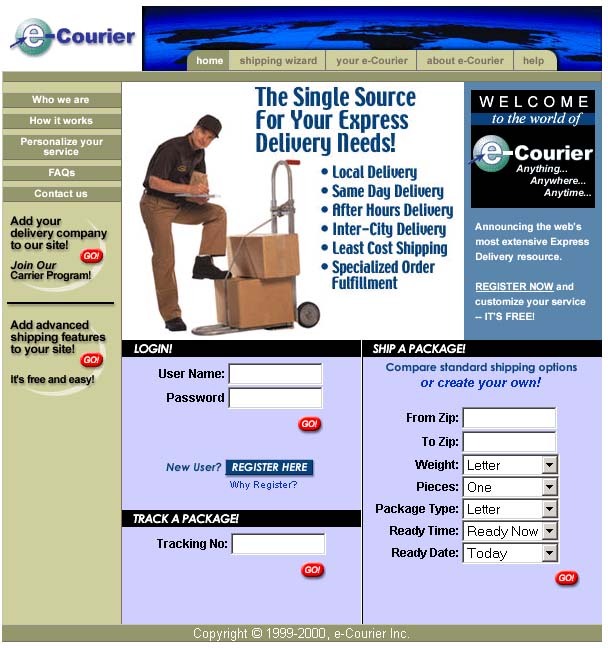 We'll provide you with brief, step-by-step instructions for you to send your package on its way. If you choose to use an Direct Transport affiliate, you'll be able to order the shipment right from our site. If you choose another option, we'll put you in touch directly with them. 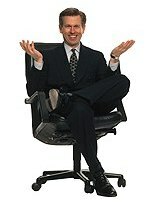 Either way, you can rest assured that you've reviewed a full range of options before making your choice. If you are a high volume corporate shipper who uses many carriers, Direct Transport is perfect for you. Not only can you enter, track, and manage your shipments from a single site, you can get carrier-independent reports and invoices. You can also make use of the advanced Direct Transport ShipTools for rapid bar code entry of packages and automatic carrier selection based on criteria of your choosing. Want to maintain your existing billing relationships with various carriers? No problem, Direct Transport is for you too. Want to give your customers a place to track their inbound shipments from you? 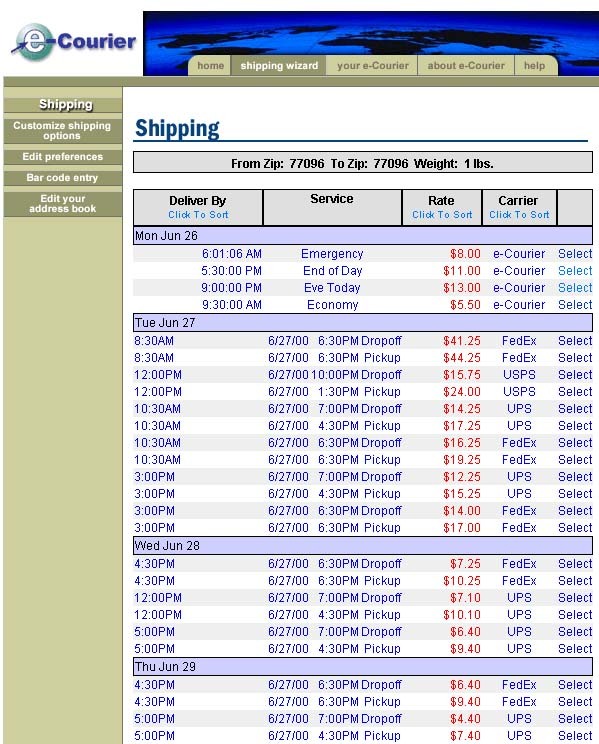 Or do you want to track your inbound shipments coming from a variety of vendors on a variety of carriers? You guessed it: Direct Transport is truly the single source for your express delivery needs. You don't stop caring about your package once it's left your hands, and neither do we. 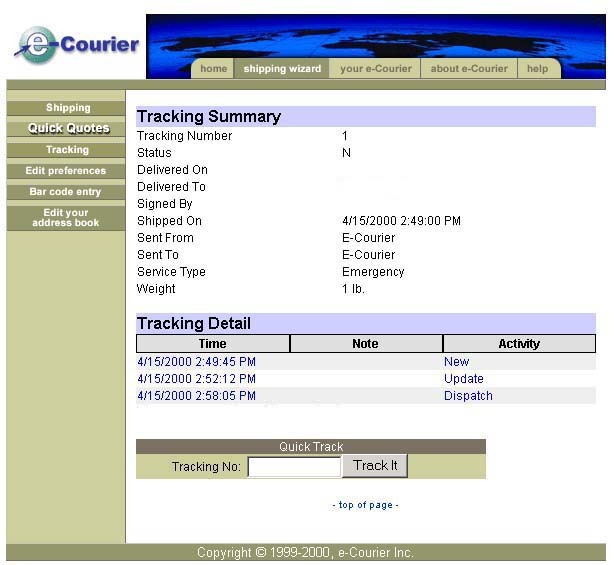 Our Tracking tools enable you to track any and all packages you have sent, regardless of who the carrier is, provided they are a Direct Transport affiliate or major carrier. It doesn't even matter if you used Direct Transport to send the package; as long as you know the carrier and the tracking number, we can hunt it down for you. Even better, once you have set up your personal preferences, you can take advantage of our Advanced Tracking features. These enable you to view and sort multiple shipments by date range, customer, carrier type, etc., and allow your customers to view their inbound shipments from you and a host of other shippers. To get started, register with Direct Transport and start shipping today!